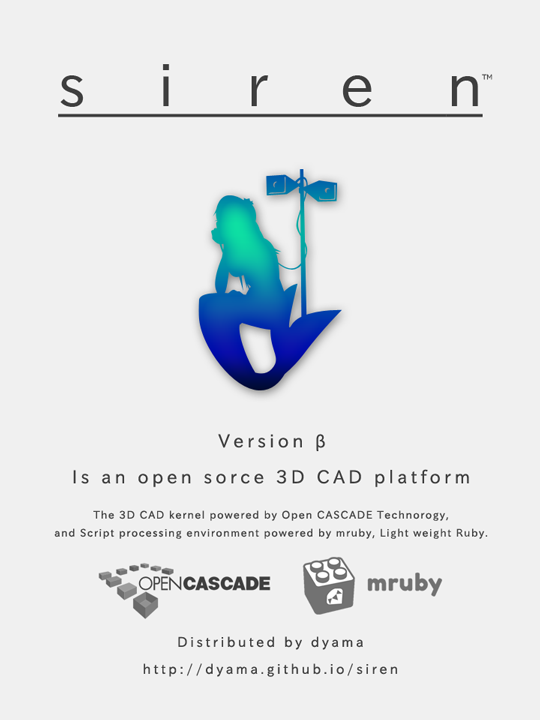 siren is a simple CAD viewer for Microsoft Windows. siren makes you some useful and quickly operations. Setup the BAT script for your enviromnent. SET "OCCBASE=E:\occ" # Change this variable! Run the BAT script file with Visual Studio solution file. View a 3D model with mouse operation. Save to another 3D CAD file format. Open CASCADE Technorogy by Open CASCADE S.A.S. mruby by Ruby Association, Include soon.